Well today is fun for two reason, first is it's Megan's last birthday in her 20's!! Sniff sniff!! 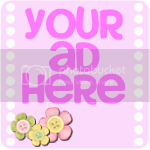 And reason two is our fabulous new advertiser, The Minky Boutique, is giving away some soft yummy-ness!! 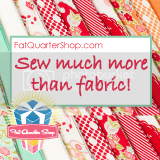 The Minky Boutique carries over 200 top quality minky fabrics. Most of us know there is soft minky and then there is ultra soft minky, this is the good stuff. I know because I just received some, plus I've felt (and have) many of the prints carried in The Minky Boutique. She stands by the quality too, 100% satisfaction guaranteed! Plus every solid color you could imagine (almost :). One last bit that you must hear...my favorite part. Denise has been a lifelong sewer so she knows sometimes you just want a certain amount. Not only does she does custom cuts but she'll also cut custom sizes in two prints just the right size for a baby blanket, how awesome is that?? And what lovelies could you win? This is extra fun because it's already made up, no work for you. 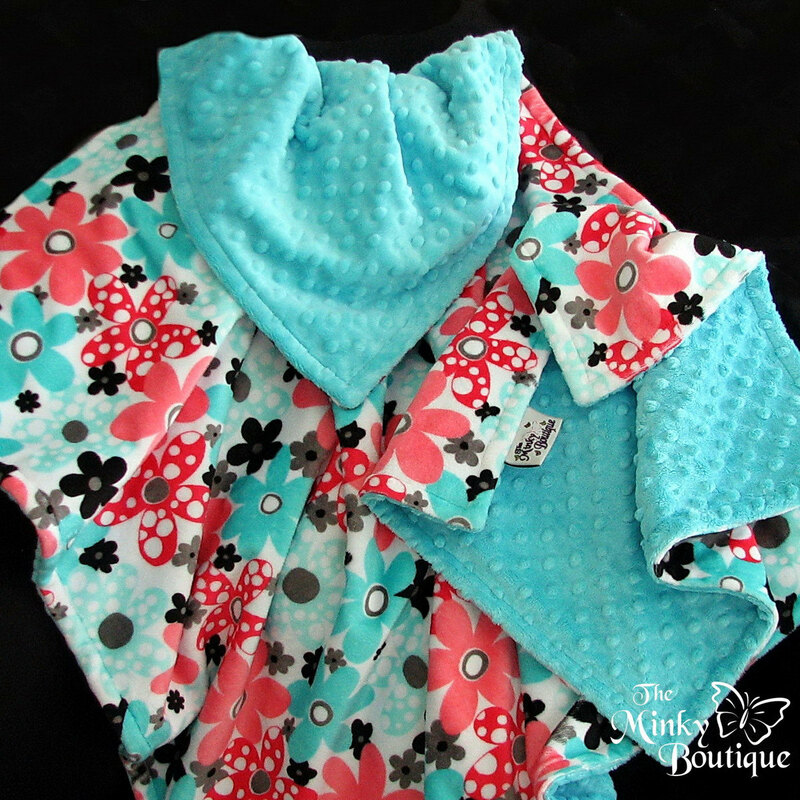 You can win one minky baby blanket and matching burp cloth. So cute right?? I want to sleep with it tonight! Minky Dino Bone Print and I love both the White and Black colourway. What an amazing range of minky!! I love the minky beep beep! !fabulous colour! I like the Minky Boutique on facebook. Thanks for the chance to win. I love the Robert Kaufman Monkey Business in any colour. I like the minky dot in grey, that'll go with everything and be really useful! Balloon Party is my favorite! Ooooh I love the Dino Bone print! I've never used Minky before. I must try it out! soooo soft :) I like the Fuchsia Minky. 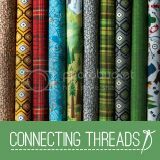 I love the tiny owls in teal and brown but the mocha/olive polka dots came in a close second! I love the gray dot minky! I never knew you could find it in gray! 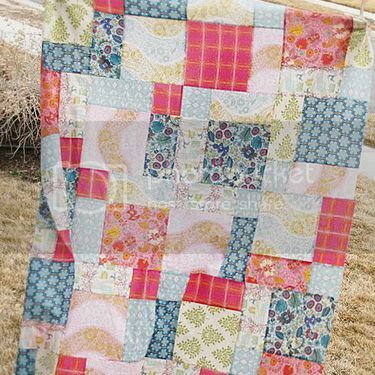 i like the Minky Bubble Print Fabric - Fuchsia/Lime. Thanks for the chance to win....love minky! I like Robert Kaufman Minky Print Fabric - Merry Berry, great for a girly blanket!. I saw the Dr. Suess in minky at quilt market (in photos), how cool is that? I think the Minky Boutique should order it! I love the blue owls and the paisleys! Thanks for bringing this shop to my attention! Robert Kaufman Minky Print Fabric - Merry Berry - Red/White is so cute! I love the plain old minky dots--they're just my favourite and that raspberry colour is scrumptious! I love the wise owls in pinks. But any of the dots are great too. They're all gorgeous! I do love the Minky Jumbo Dot Print Fabric in Mocha/Olive. Thanks for the chance to win! :) And Happy Birthday, Megan! The pink Camo is so cute! 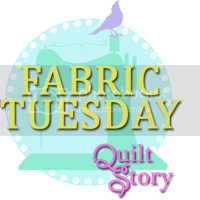 I love Minky fabrics, hard to pick just one but I love the Bubble Dots, all of them! I liked on FB. Thank you! All the minky fabrics are so beautiful. I like Peace Flower Aqua. And of the items in their shop, I'm always a sucker for minky dot and their raspberry color is fantastic! I love, love, love the ladybug print! I have had my eye on Minky Embossed Fabric - Rose Swirl - Fuchsia. Gorgeous! I love the giraffe print! I can't decide which is my favorite though...too many options! 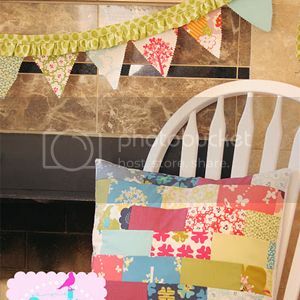 I love the Minky Dynasty print, and the giraffe print - they look soooo cuddly! I liked the facebook page, thank yoU! 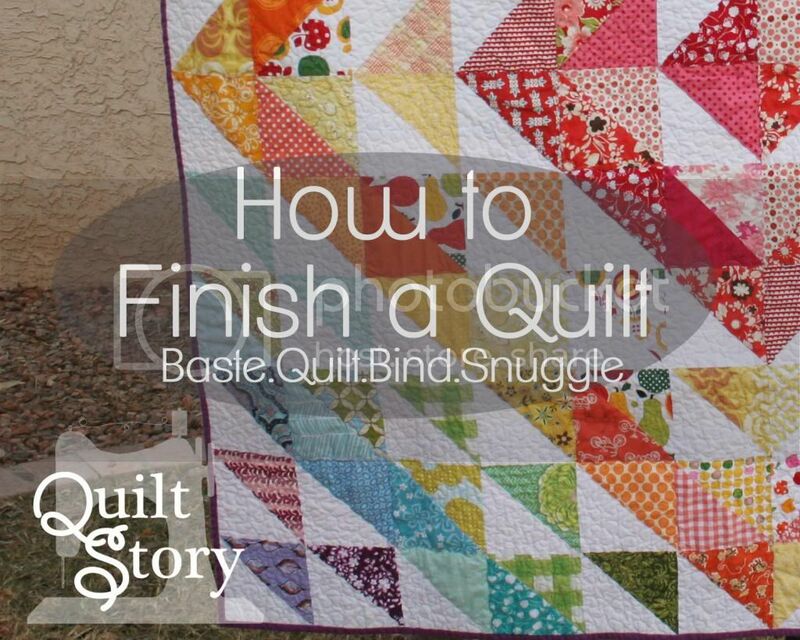 I've backed several quilts with minky, even a twin size. 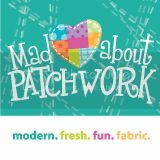 I love the feel & quality of designer minky especially, and have used several of the prints in this shop. 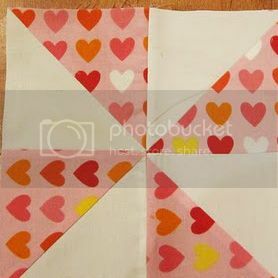 My daughter's would LOVE the Peace Flower on the back of some lap quilts next! Oh that is the darlingest (that's a word, isn't it?!) blanket ever! That is certainly my favorite print, but I love the stripes too and the fleece...must order some of that for washcloths. So glad to know where I can go to get this now - such a fabulous selection! I LIKE The Minky Boutique on Facebook. I loved all of the choices from The Minky Boutique but I think my favorite is the Robert Kaufman - Minky Fabric - Flower Child - Island... Way cute!! I 'liked' them on FB! I like anything with polka-dots! So the 'Bubble' fabrics are super cute. Thanks for a chance to win. 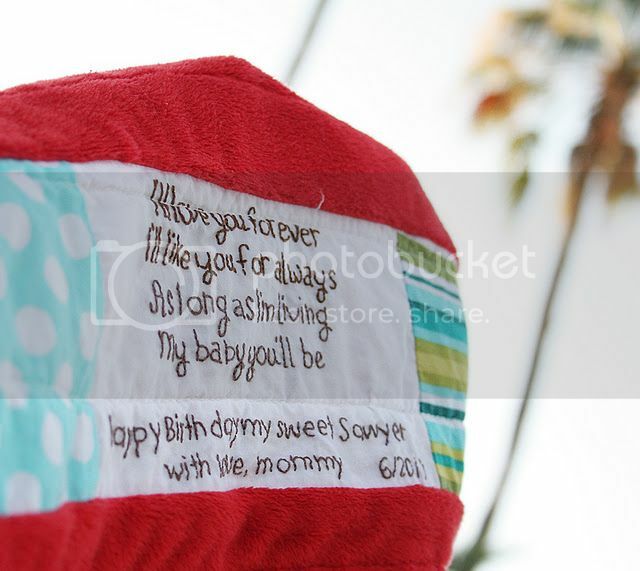 The blanket and burp cloth are absolutely beautiful--love the colors! I like the minky dot fabric especially in the coral color and the grey/white dots, as well as the bubbles with blue background for boys. Goodness, I like most of these minky prints. We babysit 3 days a week and can use these sweet prizes for our baby grandnieces. Minky Dot Fabric - Fuchsia. Thanks for the giveaway! I've never worked with Minky before - sounds like it is heavenly soft!! My favorite Minky fabric is Bubble Print Mocha/Blue... and the Giraffe Animal print is cool! I love the paisley print in mocha & pink. So cute! I love the minky owls. Can't decide which colour though. I've never used minky by I love the feel of it. Thanks for the chance. 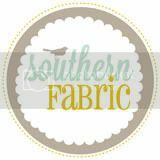 I like the Minky Boutique on Facebook! I visited the store and oh my gosh how could I pick just one! I love the giraffes, the zebra, the cars, the excavators, the owls, I could go on and on! What a great store and a fun giveaway! I love (LOVE) the giraffe print minky. Too cute! 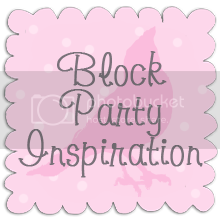 Liked minky boutique on FB! Thanks for the chance to win. I 'liked' The Minky Store on facebook! I think my favourites are Dino bones and the Minky Dynasty Print - love blue and brown together. Would love to win the blanket, thanks for the chance. I really love the Mod-Dot minky! Thanks for the chance! I need to win this. I am having a new grand daughter in October. This would be perfect. I liked them on facebook. I love the Kauffman prints. Night owl or the peace signs. What I loved most about the shop is the amazing selection of Minky Dots! I had no idea there were that many shades. Wow. 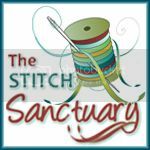 I will definitely bookmark this site and return the next time I'm making taggie blankets. I love Robert Kaufmans Night owl in violet. Love owls. Thanks for the chance to win, someday it will happen. I liked them on FB, checked out their blog also, but there was nothing. They are redoing their blog. Great to find a Minky source with good prices! 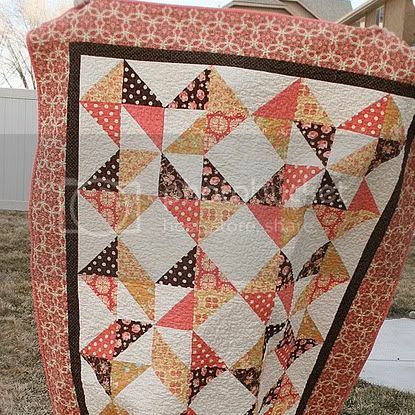 I love the Robert Kaufman Minky Print Fabric - Night Owl - Mango/Chocolate. 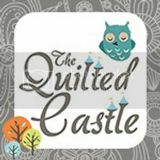 Following them on FB now as Mountain Quiltworks. 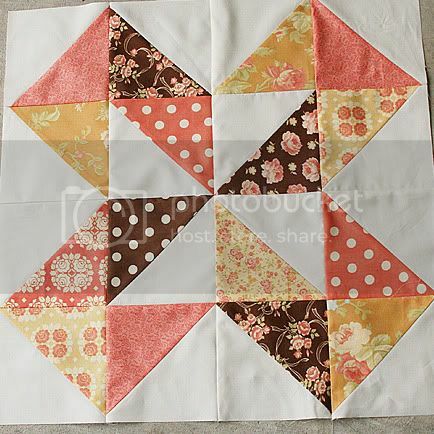 I like the Robert Kaufman Dots and Daisies in Chocolate/Mango. I love the chocolate brown! I like the Minky Studio Collection Dino Bone Print Fabric - Black. My little boy just LOVES dinosaurs! 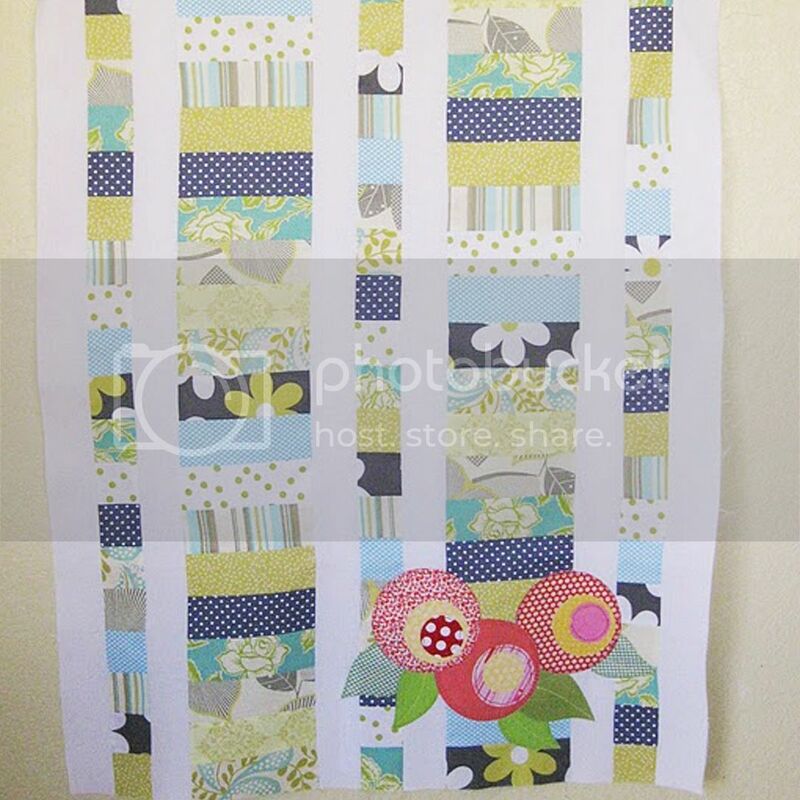 My favorite fabric at the Minky Boutique is the Minky Mod-Dot Print Fabric - Blue/Yellow/Sage! I "like" Minky Boutique on Facebook. The black and hot pink is my favorite minky. 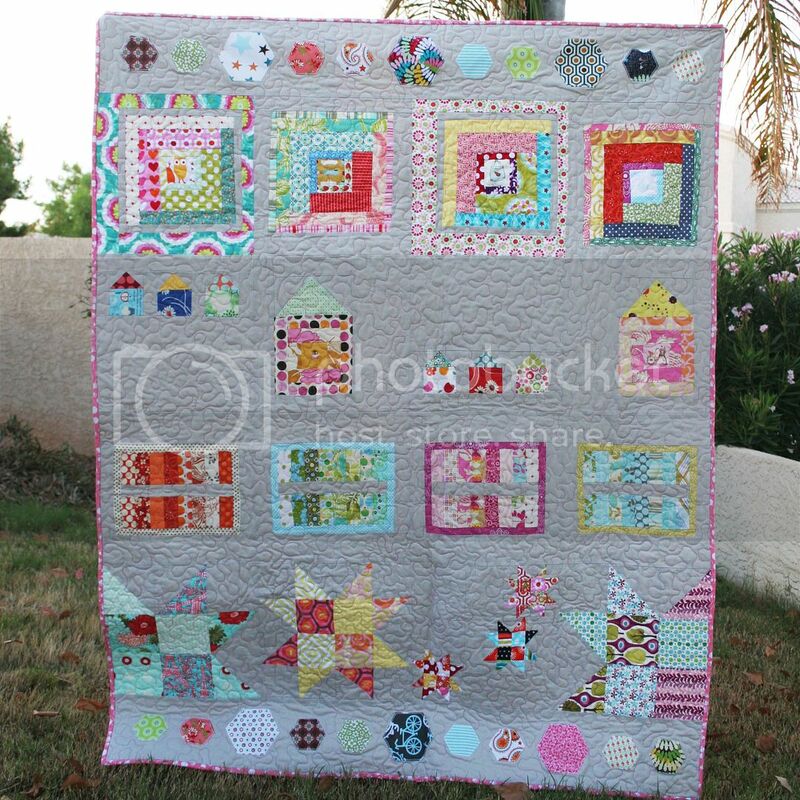 It is right on the top left of the Minky Boutique page. I love it! I love all the polka dots! I am loving that blanket! So cute:) The Minky Dynasty Print Fabric - Black/White is super cute! I like the Minky Boutique on FB! I just LOVE that Robert Kaufman Minky called Merry Cherry in Tiffany/Red!! It's gorgeous!! Went to Face Book & clicked on the 'Like" button for the Minky Boutique. Robert Kaufman Minky Print Fabric - Ribbon Party - Kiwi/Brown. I love minky.....any that looks like an animal hide is perfect for my taste....works for baby or grownup boys or girls....just change the binding! I "liked" Minky Boutique on Facebook! I really love "Minky Dots" in any shade of blue OR lemon yellow!! SO CUDDLY! I love your products! I especially love the Paisley prints! I have a project in mind that would be great for this! I like the night owl print in orange. Wow they are all so cute, but I think my favorite is the Minky with the little owls! Thanks for the opportunity to look at such adorable fabrics. 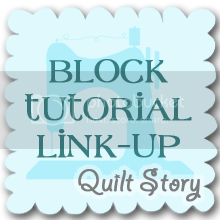 I go could sew a blanket for my little baby boy (currently on bedrest), it would definitely be using the Whale Watching minky backed with either orange or yellow dot minky. That would make an absolutely adorable baby blanket! I love the minky smooth fabric - the blues are so pretty! thanks! I don't have a favorite Minky, they are all great! (I love soft fabric) Thanks for the chance! 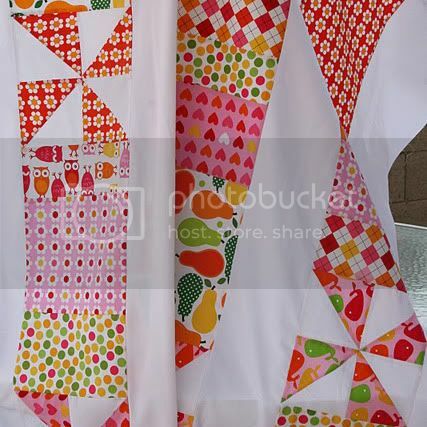 I love the Minky Studio Collection Beep Beep Print Fabric - Orange. Such a great colour. 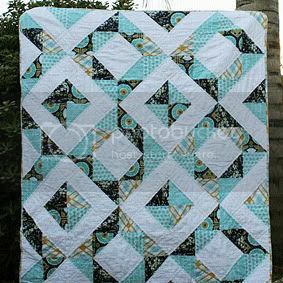 I really like the Robert Kaufman Minky Print Fabric - Butterfly - Kiwi. So cute! My daughter loves butterflies - maybe I should make her something with it?! 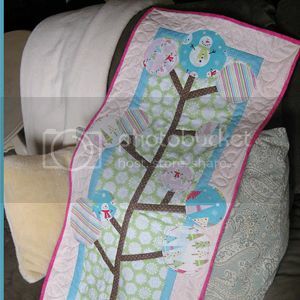 Love that blanket, I haven't worked with minky and I'd love to try it out. My fave is the little cars in orange, my boy would love it! Thanks for the chance! Loving so many prints, but the Jumbo Mod Dots in Royal/Latte/Blue are really jumping out at me tonight! Ok so I am a new sewer but I am IN LOVE with minky:) My best friend who has sewn for years thinks I am crazy to want to sew with it but I am determined to do it! Thanks for sharing this awesome giveaway with all of us. PS: I liked them on FB too! I so love the minky blanket. I like the minky boutique. That Burp cloth is adoreable.